As a small business helping other small and startup businesses, we strive to set ourselves apart from the other merchant service companies in the Fort Worth, TX, area. We want to be a business that you can count on for your merchant and payroll services. For this reason, we make it easy to ask questions or gather the information you need to decide whether we’re the right choice for you. 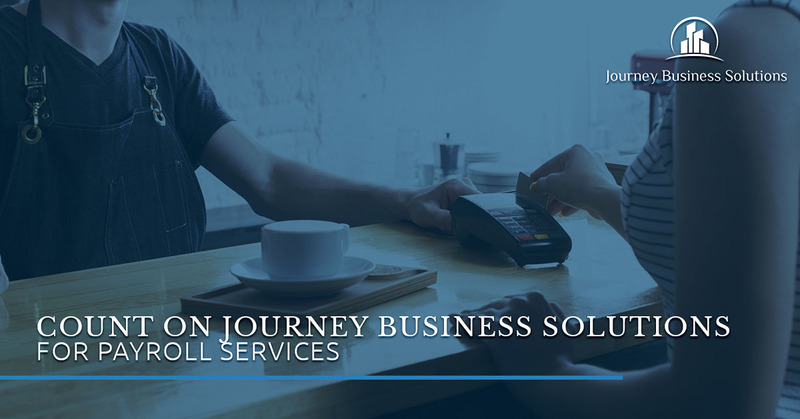 Whether you want a new POS system or you’d like payroll services that have your best interests in mind, Journey Business Solutions can help you create a resolution that will benefit your company. When you choose Journey Business Solutions, you can count on us to help you succeed. For further information on payroll services or why we’re the best at what we do, contact us today. When you choose us, what can we offer you? You may be happy with your current payroll service or you may enjoy working with them, but it’s important that you obtain as much information as you can to ensure you’re in the right hands. Whether you’re looking to change your merchant and payroll services or you’d like to explore other options, these suggestions can help you make a decision and get a good feel for what Journey Business Solutions can offer you. At Journey Business Solutions, we strive to offer the highest quality of customer services. In so many industries, customer service is lacking. You might even say that customer service is a dying art. Even though there are easier ways to review companies with Yelp and Google, customer service is not what it once was years ago. While there may be many reasons for this, at Journey Business Solutions, we strive to offer the best customer service to small and startup companies. Good customer service helps to minimize the stress on each party and it supports other small businesses. Additionally, great customer service helps to prevent problems, create solutions, and bring in more loyal customers. Another reason to choose us is because of our payroll services. Payroll and merchant services are our bread and butter. Without superior payroll services, we wouldn’t be able to help small and startup businesses with our Top-Rated products. Our payroll services are hassle-free, efficient, and easy. You can focus on enhancing your business with our payroll services and leave all of the little details to us. Additionally, our programs will reduce the number of errors on payroll, which eliminates you from getting penalized. At Journey Business Solutions, we choose solutions that are out of the box. Each of the services we use is meant to solve issues you may be facing in your company. For example, our payroll services are meant to help you focus on more important things. Our POS systems are versatile and innovative. Some are the first of their kind, such as the Linga POS. In addition, we offer referrals for those companies who need something done, but you’re not sure who you can trust. We partner with many businesses who specialize in areas such as marketing. Another great reason to choose us is loyalty. When we gain a business to help, we will help them to the best of our abilities. We’re a loyal company to work for and with. By signing on with Journey Business Solutions, you can count on us to detail exactly what you should expect from our company as a partner or a client. We know how difficult it can be to run a business, which is why we want to be an option that makes it a little easier for you. Instead of worrying about who you can trust or what business to work with, Journey Business Solutions is someone you can rely on. We have a vision at Journey Business Solutions. That vision consists of helping you to run your business easier. Our credit card processing and payroll services are meant to make it easier on you to be a business owner. We are a group of individuals who believe in the American tradition of helping the small business owner. By implementing our vision, we’re able to meet your expectations and help your business flourish. As a one-stop-shop for all of your small and startup business needs, we will provide you with exactly what you need. Stay tuned for our next blog to learn more about helping your small or startup business grow.